It weights around 100kg’s boxed and will require two people to move it into place, on that basis I would recommend that you do not buy this unless you have a fixed placement for it in a spare room for example. The GT60 took just over an hour to assemble as you simply have to bolt the arms to the frame and slot in the top section. The only minor fiddly part is making sure that the wire to LCD is set up correctly. 20 Minutes was spent making sure it was in the right place and removing the cardboard and plastic correctly. 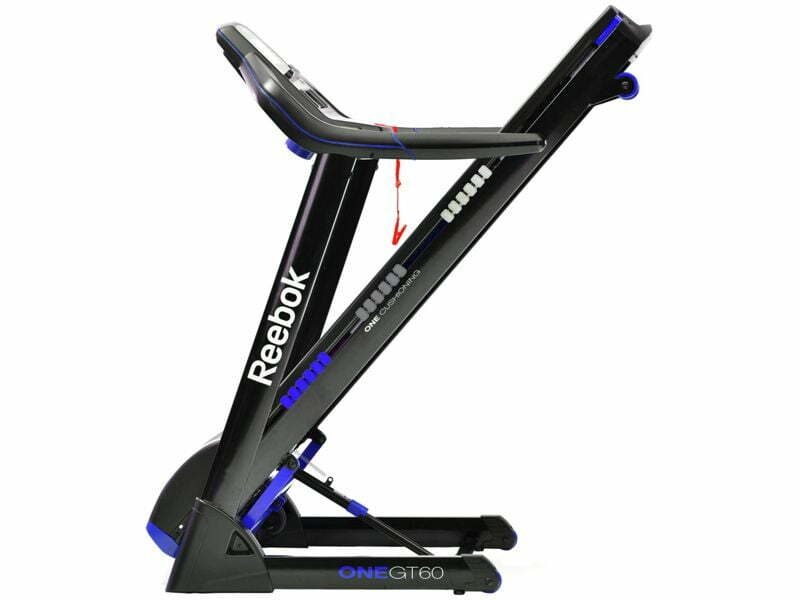 First impressions when looking at the Reebok GT60 are that this looks as close to a gym quality running machine as you are going to get. Aesthetically it looks good, not too different from other Reebok models but a really nice dark blue matched with the black frame is a great look. As you would expect from a top end model it felt very well constructed and there were no initial noises that would worry me. The motor is very quiet considering it’s a stronger 2.5HP version. The treadmill comes pre-lubricated but I always add around 25% of the bottle supplied as you never know how long it has been in the warehouse. 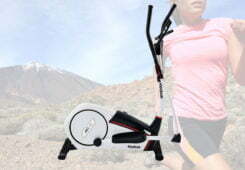 The Reebok GT60 comes with a 2.5 HP motor which allows a constant higher speed. 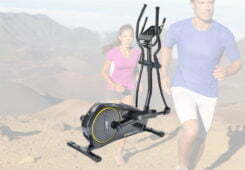 High intensity sprints are a very popular way to burn fat quickly. 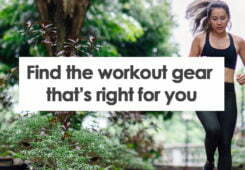 They involve running at regular speed for a period of time e.g. 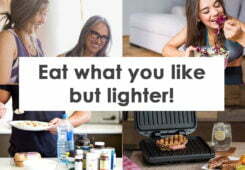 60 seconds before switching it to a higher setting for 30 seconds and back again. 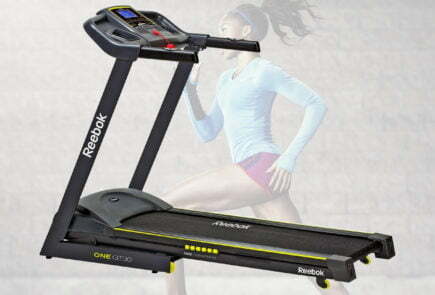 The 2.5 HP motor of the Reebok GT60 gives you this ability whereas budget treadmills may not allow such high speeds. We were surprised with the low level of noise white the GT60 was in operation, the higher powered motor has not translated into more noise and is of a similar level to that of the GT30 which was available for a comparison. The Reebok GT60 offers 15 levels of incline, this should be more than enough to satisfy all levels of fitness. 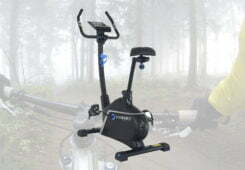 We tested various levels on the GT60 and what we did like is that at higher settings the running track was still firm. Some treadmills become springboard like with higher levels of incline. 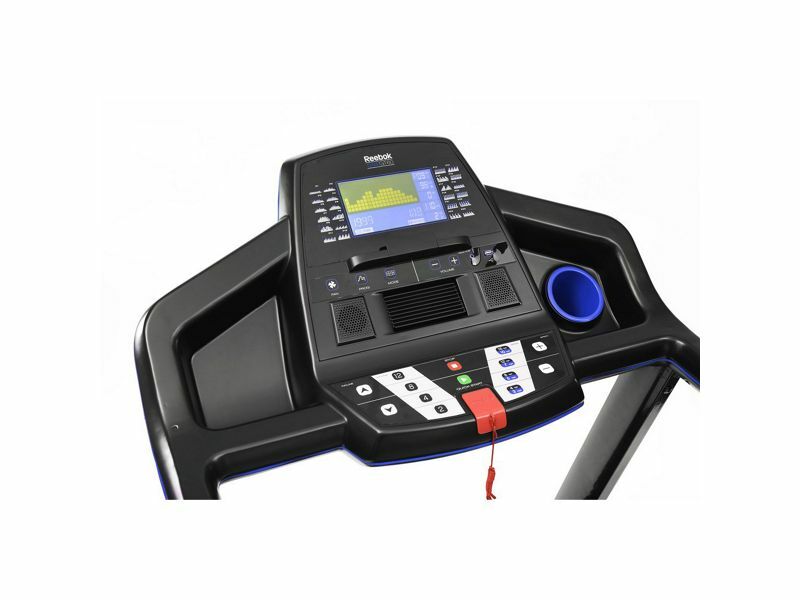 What we did like about the GT60 is that pre-set levels of incline are available at the press of a button and then you are able to manually adjust if required. 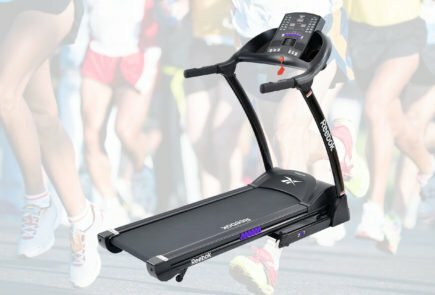 This is great if you want a higher setting without having to hold your finger on the up arrow while you run. 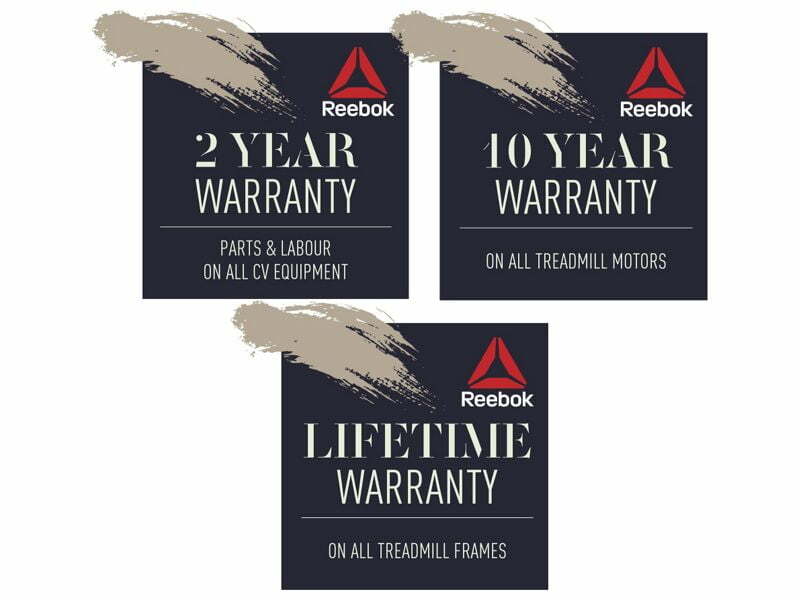 The Reebok GT60 comes with 34 user programmes available, this is one of the higher number we have seen on any home treadmill. 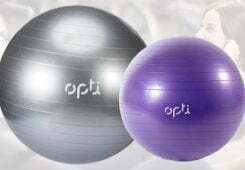 For some this may be slightly more than required but gives you the option of really mixing up your workout routines. Reebok have done a good job of including the programmes available with little diagrams located next to the LCD feedback display. 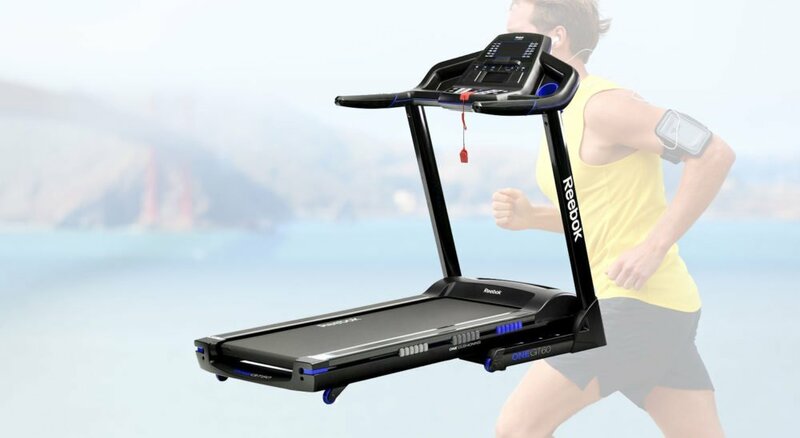 The Reebok GT60 comes with one of the largest running tracks of the Reebok treadmill family measuring W51 by L145cm. 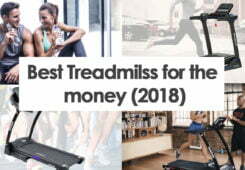 We have tested quite a few treadmills that require a little getting used to as they are very narrow when compared to a treadmill you would find at your local gym. 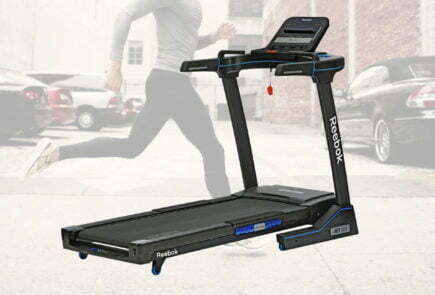 It’s really nice that the Reebok GT60 doesn’t give you a feeling of being too cramped as you run. 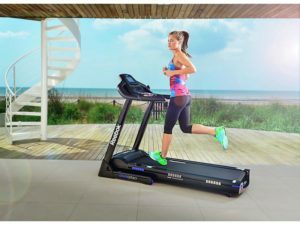 They have included their latest cushioning technology with the GT60 that gives you a great balance of impact protection without too much of a spongey feeling. 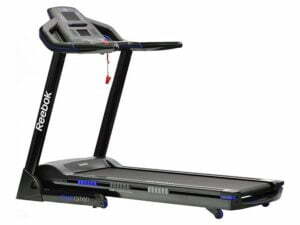 The LCD display included with the Reebok GT60 is good but a little bit of a let-down considering that this is a £1,399 treadmill. 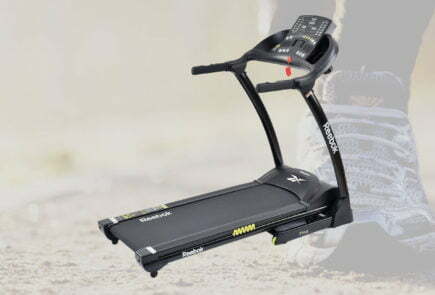 We have seen better on other brands such as NordicTrack in this price range. Having said that we can’t find any faults, it still looks nice and clear with white numbers on the blue background. 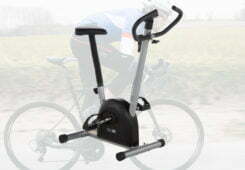 All of the details are laid out evenly, showing the user speed, distance, calories and heart rate. 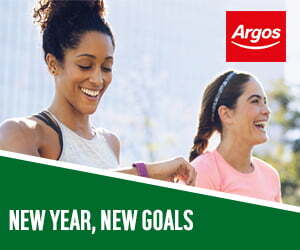 The programme details re also clearly displayed in the middle of the LCD screen in a nice two tone green. Buttons on the main panel are big and bold, I sometimes wear glasses and was able to see these clearly without. 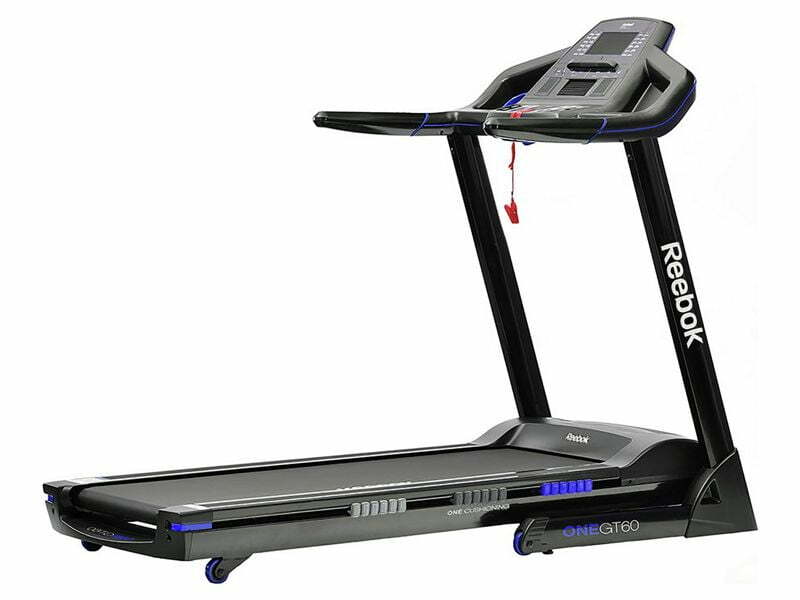 Reebok have also tried to make things as simple as possible with buttons provided to jump straight to specific levels of speed or incline. 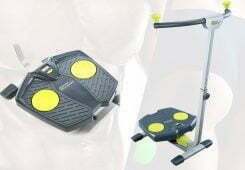 Gym enthusiasts have the option to set detailed manual levels if required. The MP3 playback included with the GT60 is a nice addition, they have included a handy shelf below the LCD screen to place your Mp3 player for quick access. 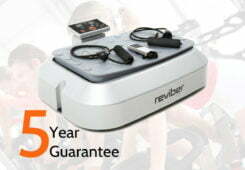 The speaker quality is what you would expect for a treadmill, we found this more than good enough to listen to during our workouts. There are only a few negative points when looking at the Reebok GT60, the first many may feel is slightly unfair. 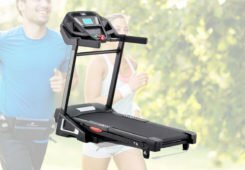 The GT60 is advertised as being on wheels and folds away for storage, this may be true, but the sheer size and weight means that many would find this a struggle. The second point is the LCD screen, we have seen treadmills with touchscreen displays at this price point. But as I write this I can’t decide if touchscreen is really a benefit over traditional button consoles. Reeboks top end GT60 really does have a lot going for it. 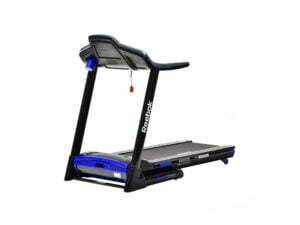 If you want a top end gym quality treadmill in your own home then we would high recommend the Reebok GT60. 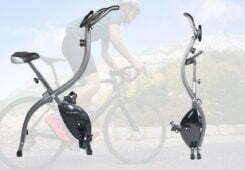 There is no doubt that this is a serious piece of equipment and don’t think this is something that you can store away and wheel out on demand. 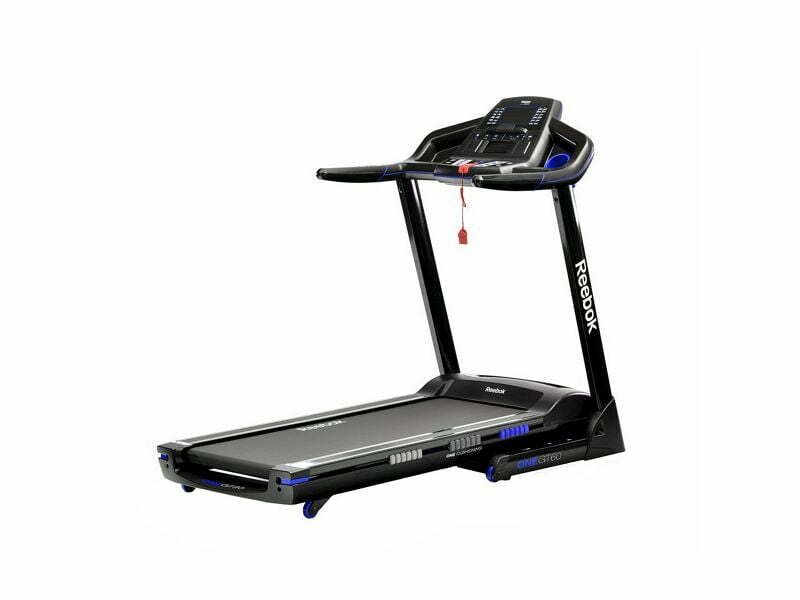 Some may question if it’s worth the £1399 price tag but at the time of writing some suppliers were hinting at dropping the price by as much as 20% which then makes this a great buy for the money. The Reebok GT60 is Reeboks top of the line treadmill, so how does it compare?